In the UK it is illegal to deliberately kill or injure red squirrels, disturb them while they are using a nest, or destroy their nests. Yet, although the 1981 Wildlife and Countryside Act provides these protections, there is a legal anomaly in England and Wales – one that can potentially undermine the conservation of the red squirrel, along with every other rare and endangered forest plant or animal species. Although rare woodland species are protected, the habitat they dwell in is generally not. Timber harvesting requires a license – although there are some very limited exceptions where this permission is not needed, for example due to public safety, or where small volumes of wood are being cut. But under the 1967 Forestry Act, applications in England and Wales cannot be refused for "the purpose of conserving or enhancing" flora or fauna (though they can be refused for this purpose in Scotland). Nor can license conditions be imposed for this reason. No matter how rare, how vulnerable or how much effort has gone into the regional conservation of a species, there are no exceptions to this. A timber felling license does not sweep aside the legal protection that animals such as the red squirrel have – and a precautionary approach is advisable when felling in woodlands containing this species. 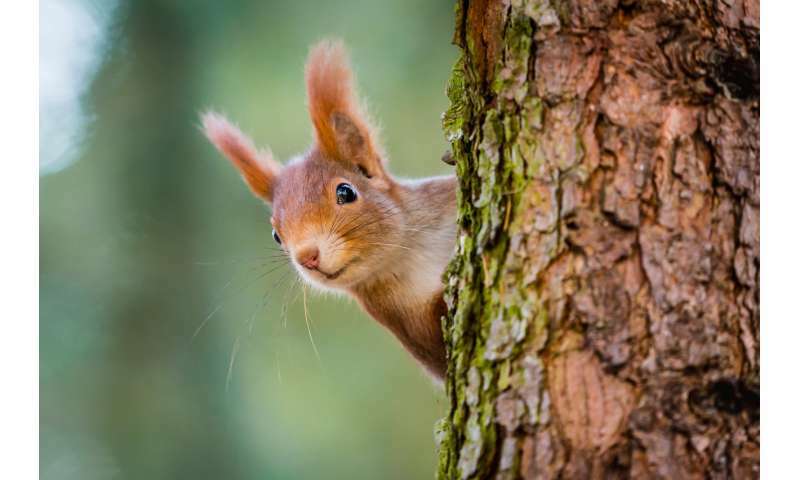 Nevertheless, the possession of a felling license opens a loophole because the wildlife legislation protecting the red squirrel provides the defence of "incidental result of an otherwise lawful operation". So, with a license in hand, woodlands containing this threatened species can be clearfelled because tree harvesting is a lawful operation. The solution is clearly to amend the Forestry Act to better align timber harvesting and wildlife protection laws. Harmonising UK forestry legislation would allow for better timing, methods and patterns of tree harvesting to be guaranteed in habitats containing any rare species. Additionally, while licensing authorities currently can only assess each felling license application in isolation, legislative change would enable the cumulative impact of granting a license to be considered in relation to felling that had previously been approved. This stops management of rare woodland species on specific sites being at the mercy of timber prices and market economics. Commercially managed forests provide jobs and produce valuable products. 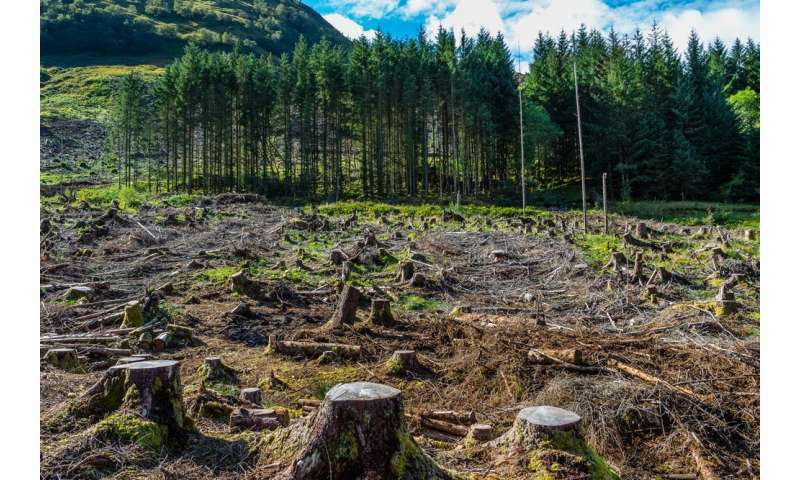 As the modernised laws in Scotland show, the forest industry operates quite successfully where timber harvesting license applications can consider wildlife impacts. Amendment in England and Wales would deliver similar integration. Consequently, the ethical credentials of the timber harvesting industry would be strengthened. In an age where consumers want confidence that timber products they purchase have not destroyed wildlife populations, this is essential. It is already commonplace for products made of UK-sourced wood to have the Forest Stewardship Council (FSC) logo. The FSC signifies the wood is from sustainable sources managed with a high regard for wildlife conservation. So amendment of the 1967 Forestry Act would give greater consumer confidence in supply chains and also reinforce the credibility of the global FSC forest certification scheme itself. Since the 1980s, the forestry sector has increasingly balanced commercial, societal and environmental imperatives. Consequently there will be times, should the law change, when refusal of a logging license to conserve biodiversity is an unavoidable trade off. Here it is important to stress that the forest industry receives state grants to support crop establishment and protection. The taxpayer therefore has a right to ensure that forests are managed sympathetically for wildlife. We should not forget that commercial plantations can be vitally important for wildlife and without them many species would be much rarer. On the other hand, some felling will inevitably still be licensed even though operations will adversely affect individual animals of a protected species through habitat loss or alteration. Although such decisions may be unpopular with local people, it is common for wildlife management strategies to focus on population level conservation targets rather than at the individual animal level. I believe an amendment to the Forestry Act is overdue. Regulatory change will empower authorities with the legal tools to achieve a better balance between often competing forest management objectives. It will benefit wildlife and the UK timber industry too.